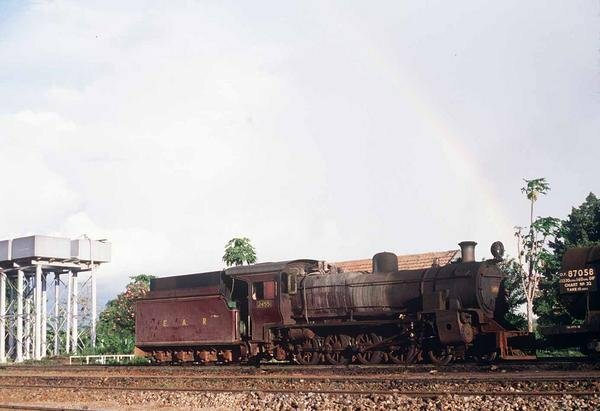 The next instalment of the journey from Mombasa to Kampala. 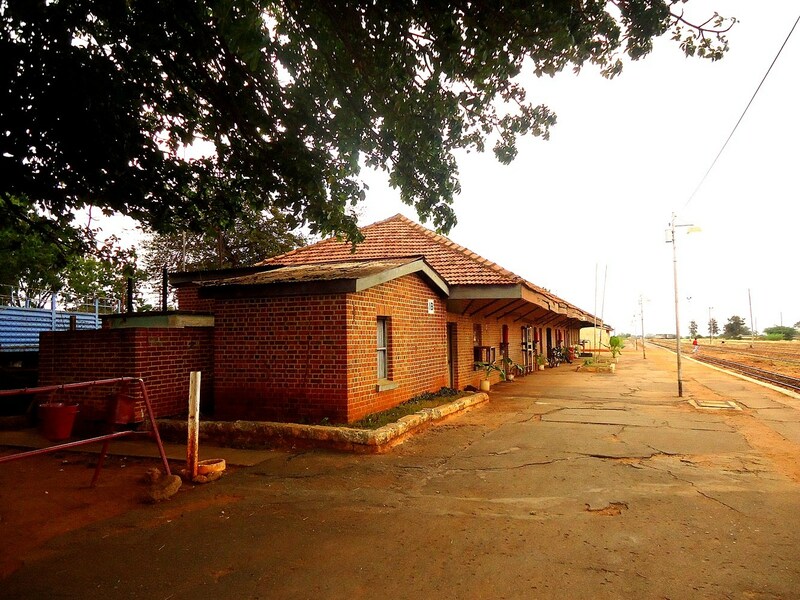 We start at Mazeras Station. Mariakani is the first stop on the new Standard Gauge Railway (SGR) after leaviing Mombasa. 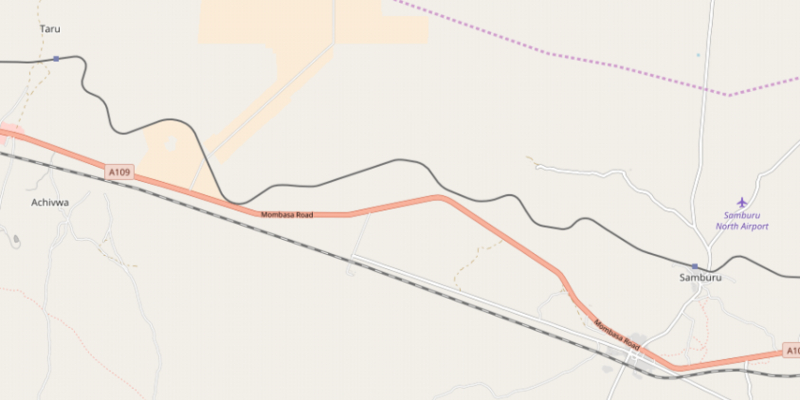 In the map below the deviation away from the road is evident and the location of the bridge over the river. 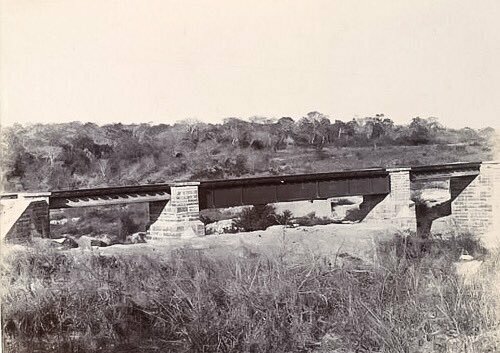 The line of the SGR is also visible. 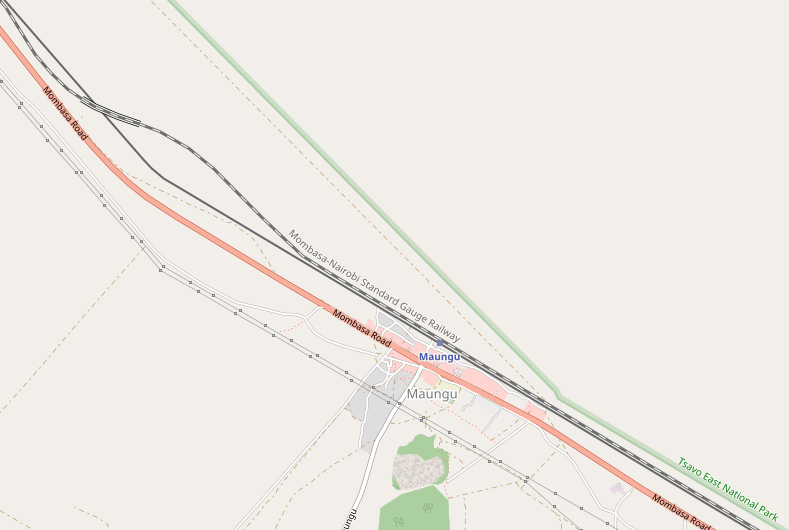 The road and metre-gauge line converge once again at Maji ya Cumvi and the road crosses the railway line at that point. Beyond the road crossing the railway heads on a further 16 kilometres in a westerly direction to Samburu village (not to be confused with Saburu County and the Wildlife reserve of the same name which is in that county). 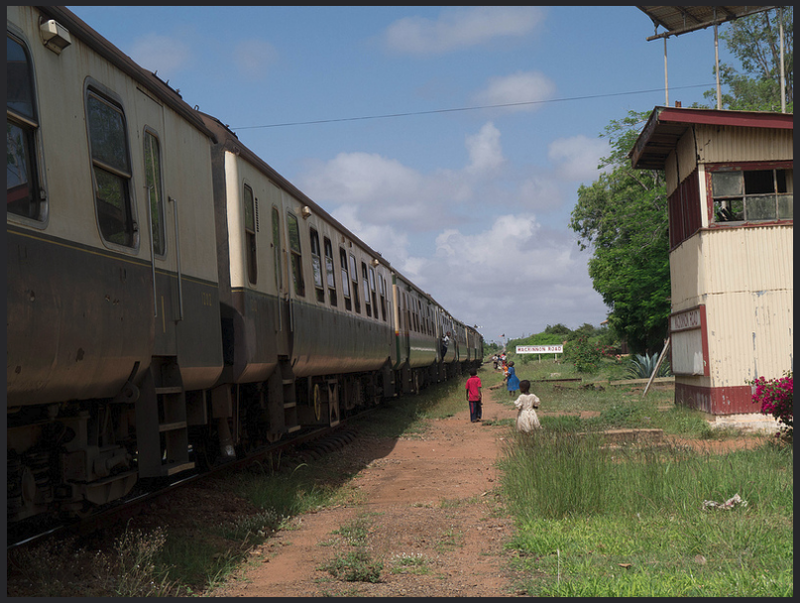 The image immediately above is a photograph taken in 2015 and can be found in a library of photos of stations on the metre-gauge line. 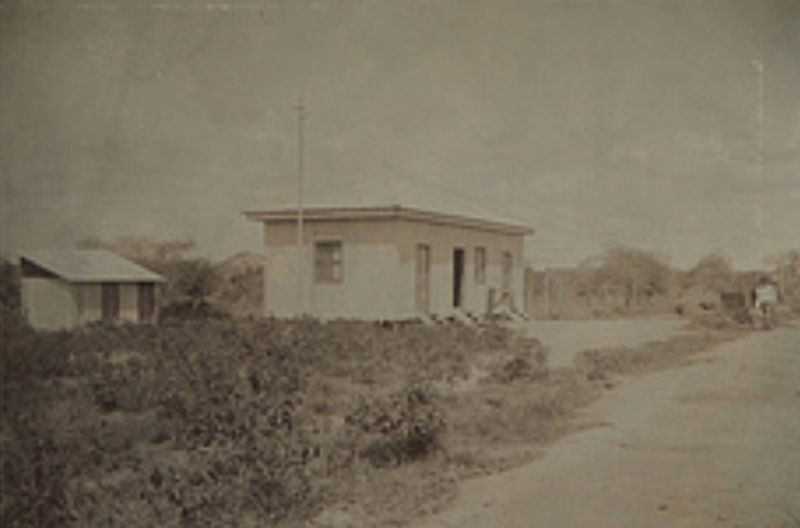 The photo of Mazeras Station, further above, comes from that same library. Much more ancient images follow. The first two come from very early in the line’s history and were both taken at Samburu. 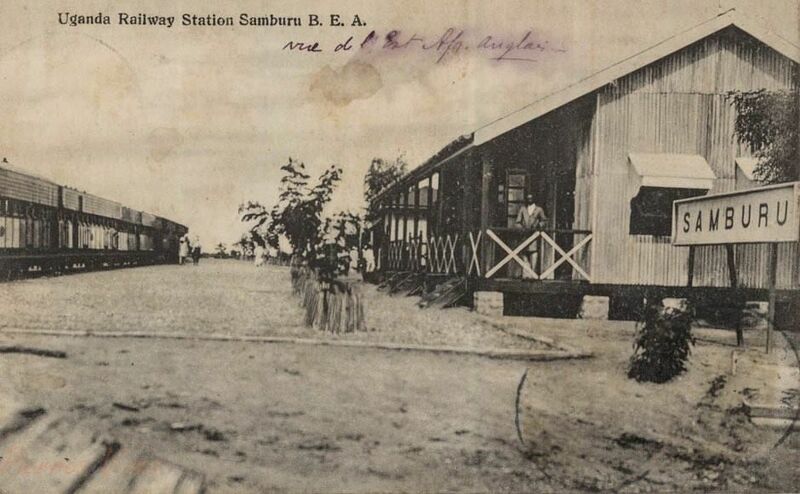 The third is a later image of the station from the early 1900s. 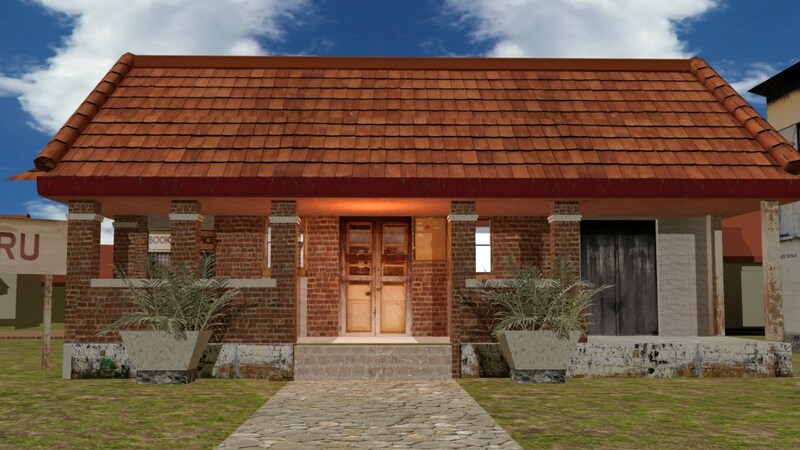 An interesting digital 3D model of this station has been created by ADH (African Digital Heritage). 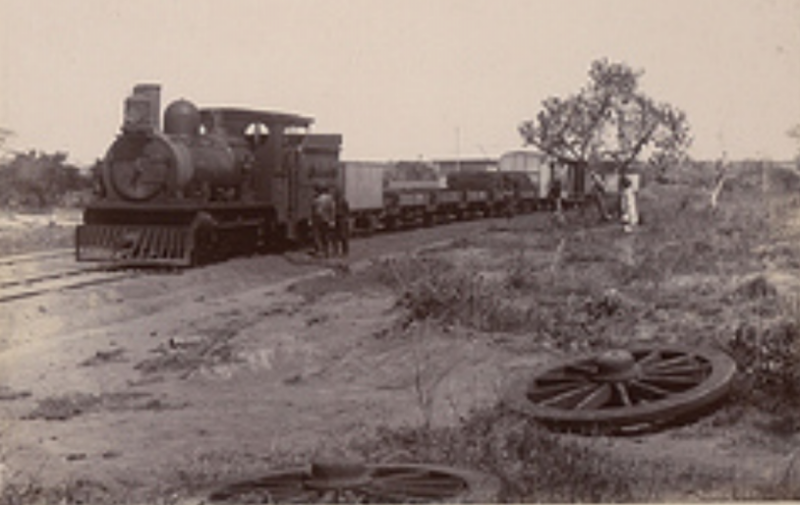 After Samburu, the line continued west-north-west to Taru a distance of about 18 kilometres. 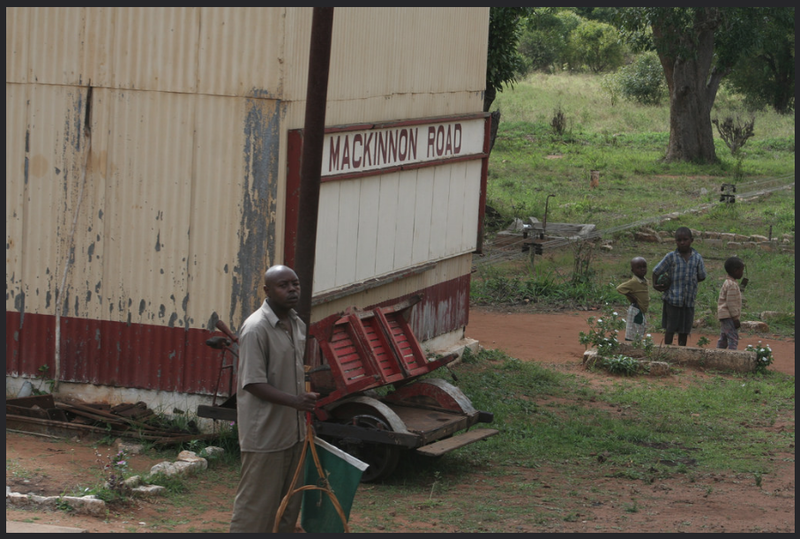 From Taru, we head on to Mackinnon Road Station, probably so named because it was at the junction between the old Mackinnon ox-cart road, construction of which was started in 1890 by the British East Africa Company, and the railway. 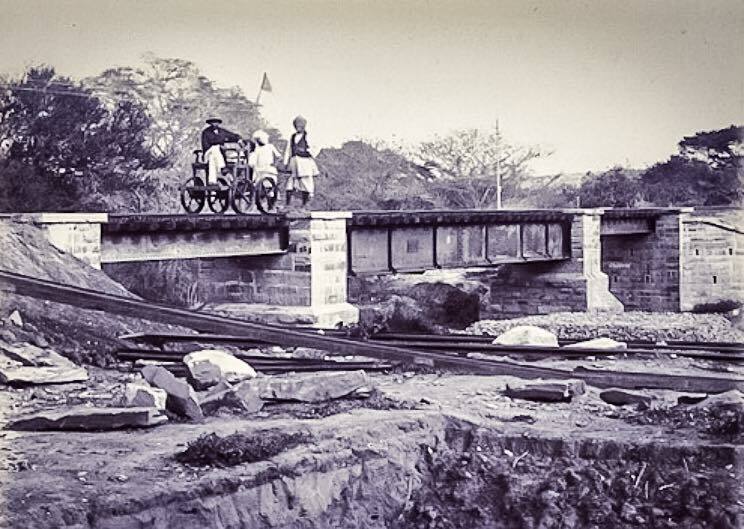 Quickly, once the railway was complete the Ox-cart road became disused. 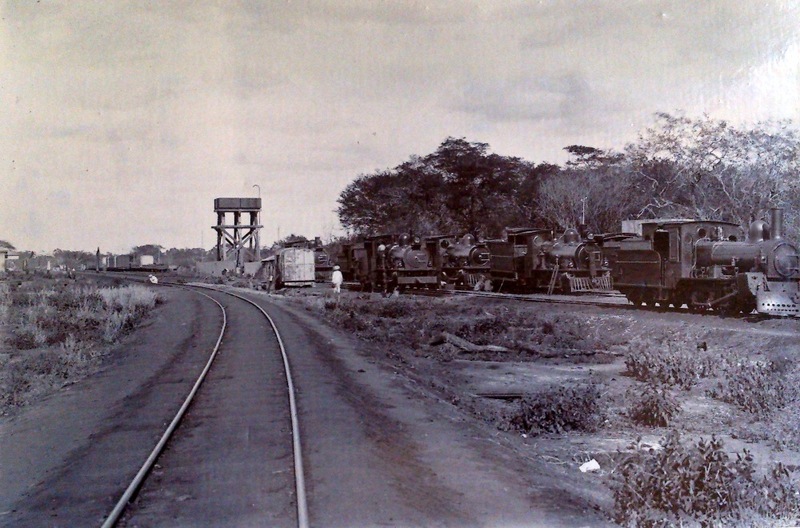 The railway was some distance north of the Nairobi to Mombasa Road at Taru. En-route to Mackinnon Road it converged again with the line of the road, before deviating north and then approaching the line of the road very closely. 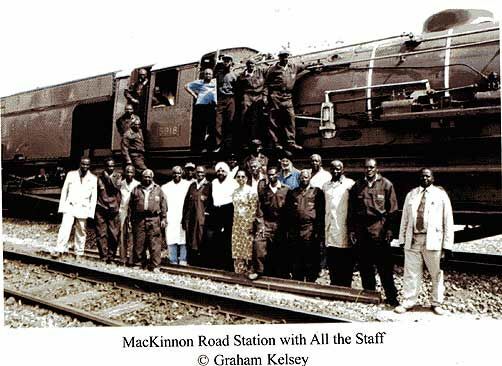 At Mackinnon Road, as can be seen above, the old metre-gauge railway route through the town has been superseded by the SGR. 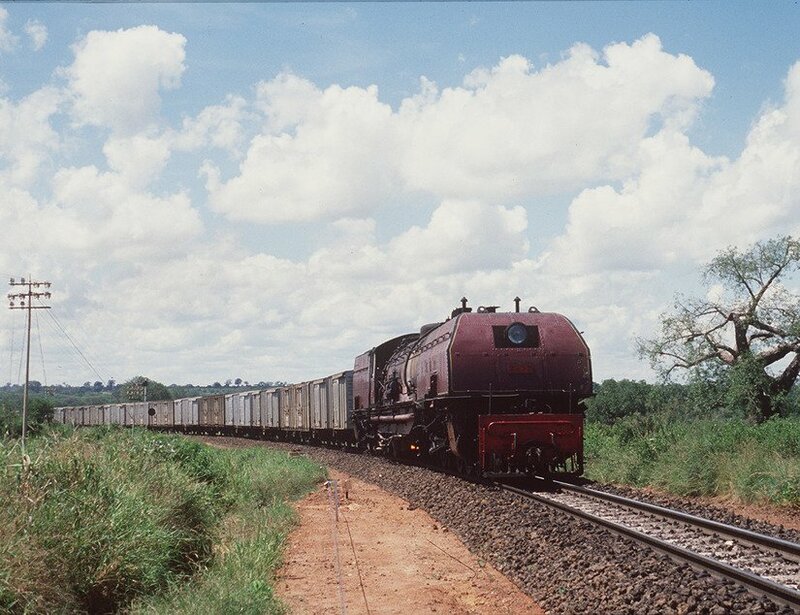 5903 at Mackinnon Road – Class 59 Beyer-Garratt on a Nairobi-Mombasa freight train near Mackinnon Road on 21st February 1978, © James Waite. gradients towards Mackinnon Road. 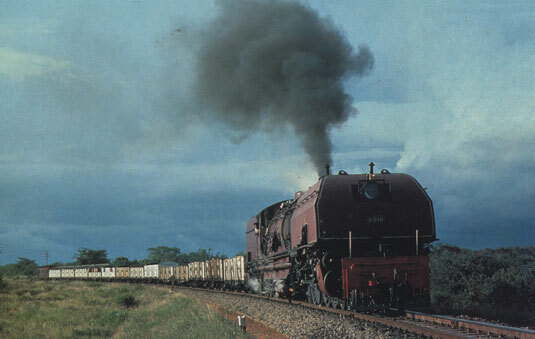 The 59 class was well suited to hauling heavy loads. 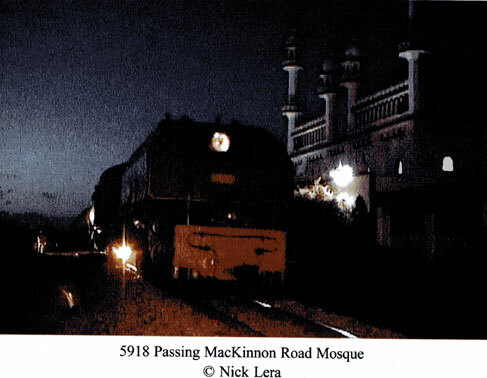 Immediately adjacent to the running lines of both the metre-gauge line and the SGR is Mackinnon Road Mosque. 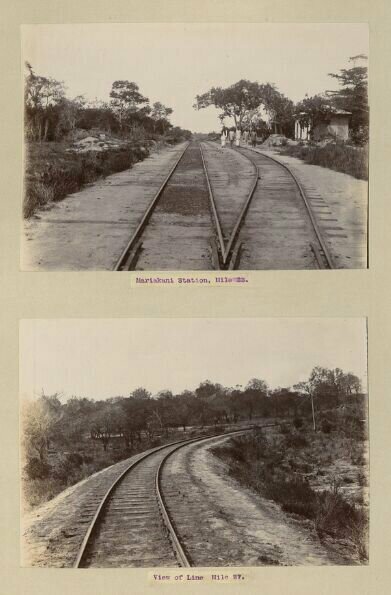 The track of the metre-gauge line can be seen in the image below. 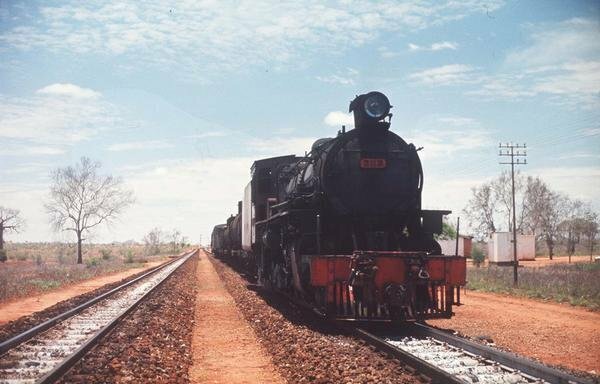 Travelling on from Mackinnon Road, the railway travels in a straight line in a North-westerly direction. 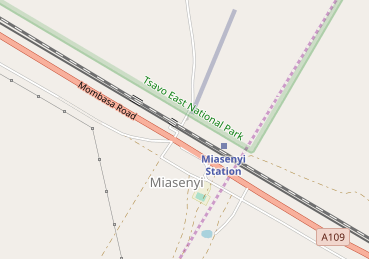 The next station is Miasenyi at the corner of the Tsavo East National Park. 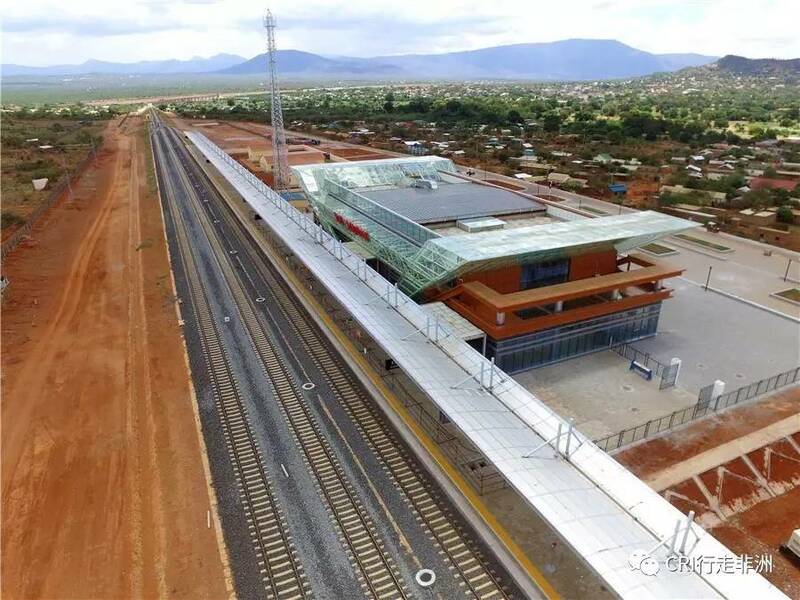 And then along the boundary of the park is passes through intermediate stations at Buchuma, Wangala and Maungu before passing under the new SGR. 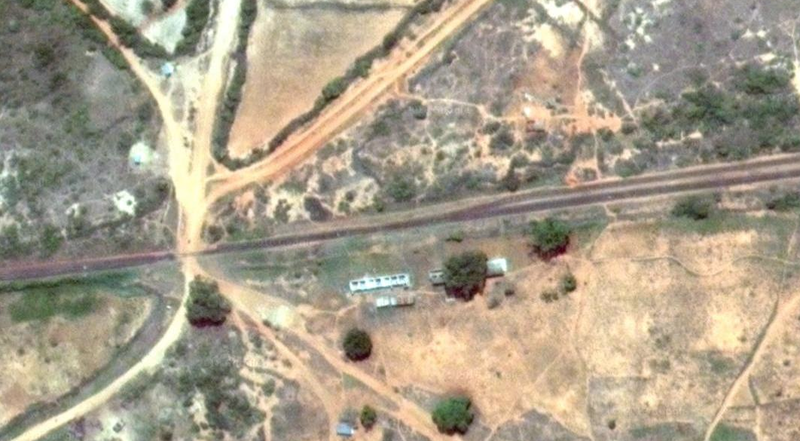 The new SGR station at Miasenyi is shown above the old railway station at Maungu, below. 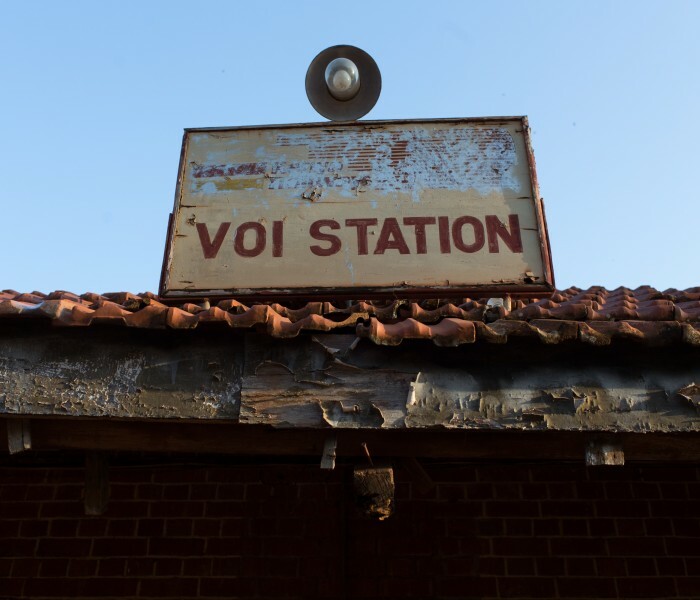 There is another station at Ndara before we reach Voi. 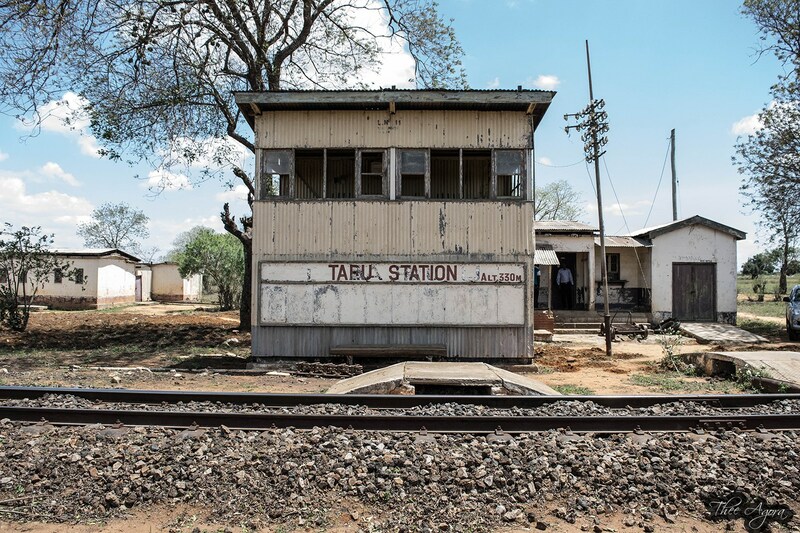 At Voi, the SGR station is outside the town limits and south of the River Voi, The metre-gauge line is in the centre of the urban area and north of the River Voi. 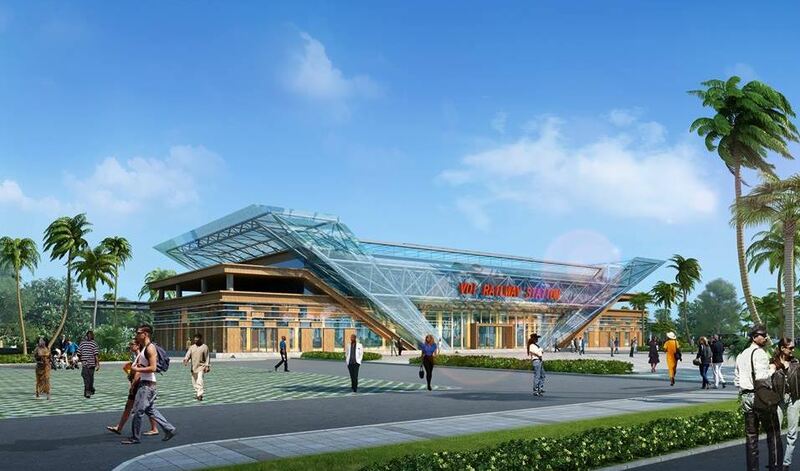 The images below show the SGR station. 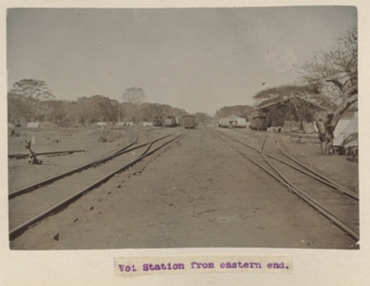 The remaining images in this post show different aspects of the metre-gauge line in and around Voi and station at Voi. 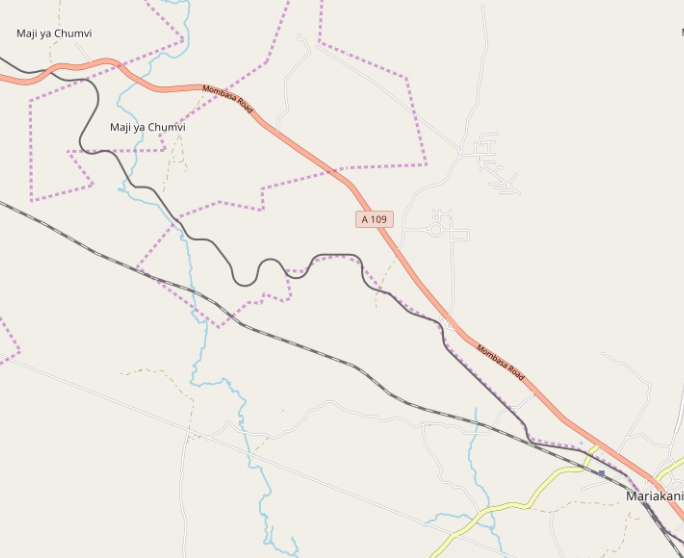 Voi is the largest town in Taita-Taveta County in southern Kenya, in the former Coast Province. 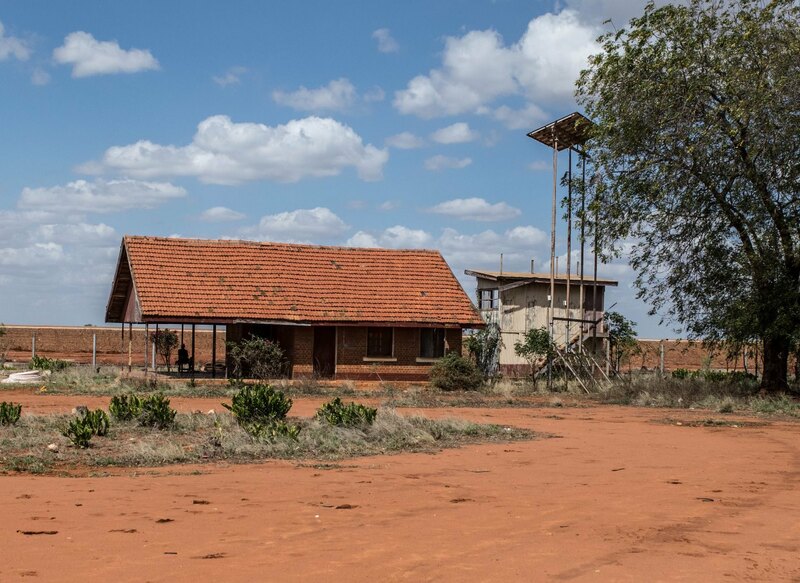 It lies at the western edge of the Taru Desert, south and west of the Tsavo East National Park. The Sagala Hills are to the south. 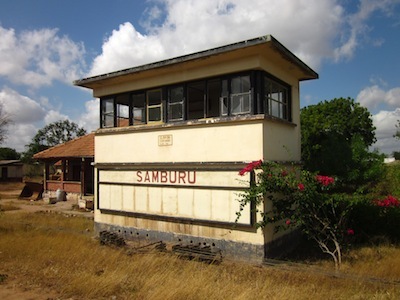 It is also a junction station with a branch-line leaving the Nairobi-Mombasa line to head into Kenya. 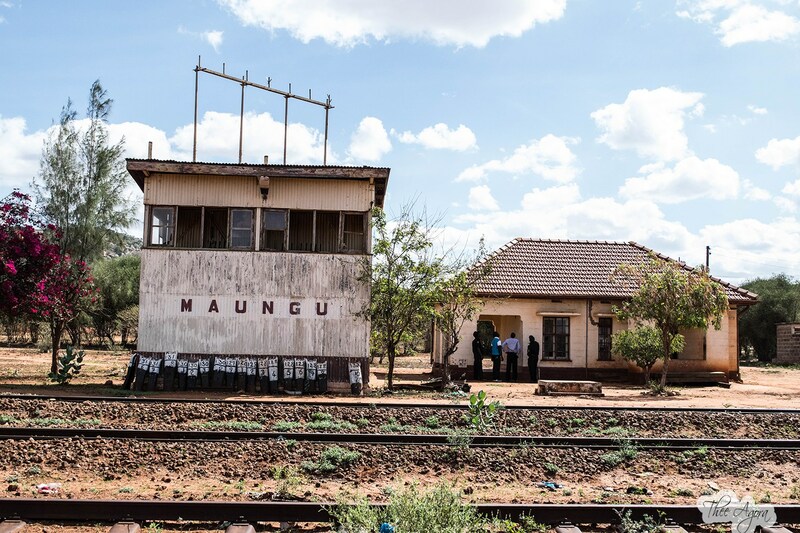 Stations on that branch-line are Mwatate, Bura, Mashoti, Maktau, Murka, Ziwani and Taveta, all in Kenya. 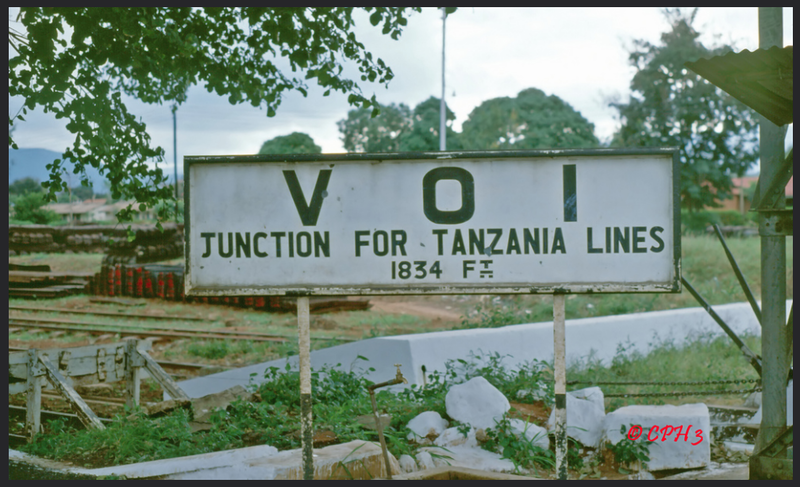 The line connects with the Tanzanian main-line at Moshi, close to Mt. Kilimanjaro. Station name board in 1979 © CPH3 on Flickr  and a considerably old picture courtesy of the National Archive of the Eastern End of Voi Station. 1. https://www.flickr.com/photos/99955440@N00/5769666434/in/photolist-9MR3Pu-ozRbFX-oQksuC-ozTi1V-fY73g6-f7yutZ-ZYFAJw-6CyFbU-9we32a-8wscyi-8ws5yH-8wrsnM-eDFyrF-8wu1L1-a471FW-8wvJJm-ohCG7b-8wuzqE-f7QNcg-f7t5ep-8wsgyR-8wvdph-8wraCr-9eNPFi-8wvk27-ofDfwN-eDFz7x-8wrjar-o1cHbg-8wtWab-ctLxKh-ojrcLp-8wqYyH-8wqSbH-8wr416-dsfbym-8wr7vP-8wu5K9-o98cvX-8wvMyJ-ozRx1q-8wv83L-8wvxZJ-8wsq3K-ojre6i-gJqL1G-8wuVzC-G5N9ne-ohF7Wk-G5N9fk, accessed on 16th May 2018. 2. https://www.flickr.com/photos/47611518@N05/4938958783/in/photolist-8wrsnM-eDFyrF-8wu1L1-a471FW-8wvJJm-ohCG7b-8wuzqE-f7QNcg-f7t5ep-8wsgyR-8wvdph-8wraCr-9eNPFi-8wvk27-ofDfwN-eDFz7x-8wrjar-o1cHbg-8wtWab-ctLxKh-ojrcLp-8wqYyH-8wqSbH-8wr416-dsfbym-8wr7vP-8wu5K9-o98cvX-8wvMyJ-ozRx1q-8wv83L-8wvxZJ-8wsq3K-ojre6i-gJqL1G-8wuVzC-G5N9ne-ohF7Wk-G5N9fk-8wvm4G-8wuBqL-ohF3Ck-8wuPXw-9XYj2v-o98cDx-8WMrNX-opkeZ4-CVkCYJ-8WQyTE-4Wm3nw, accessed on 16th May 2018. 3. https://www.flickr.com/photos/nationalarchives/5407104131/in/photolist-9eNPFi-8wvk27-ofDfwN-eDFz7x-8wrjar-o1cHbg-8wtWab-ctLxKh-ojrcLp-8wqYyH-8wqSbH-8wr416-dsfbym-8wr7vP-8wu5K9-8wvMyJ-ozRx1q-8WMrNX-8WQyTE-8wv83L-8wvxZJ-8wsq3K-ojre6i-8wuVzC-G5N9ne-ohF7Wk-G5N9fk-8wvm4G-8wuBqL-ohF3Ck-8wuPXw-o98cDx-9XYj2v-opkeZ4-CVkCYJ-4Wm3nw-4WgHP2-4WkxAd-KmrH99-874wuf-8wvGVf-8WQx99-CVkDbN-ejxoqQ-f7QNwF-ofDdwq-f863wq-9XYxe2-8WMtVD-f7QNqT, accessed on 16th May 2018. 4. 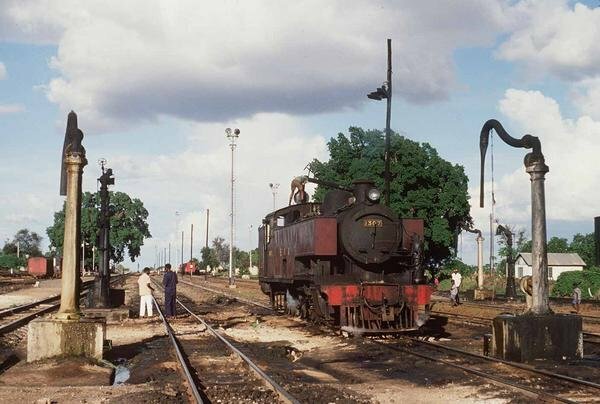 #Savetherailway; http://www.savetherailway.com, accessed on 14th May 2018. 5. 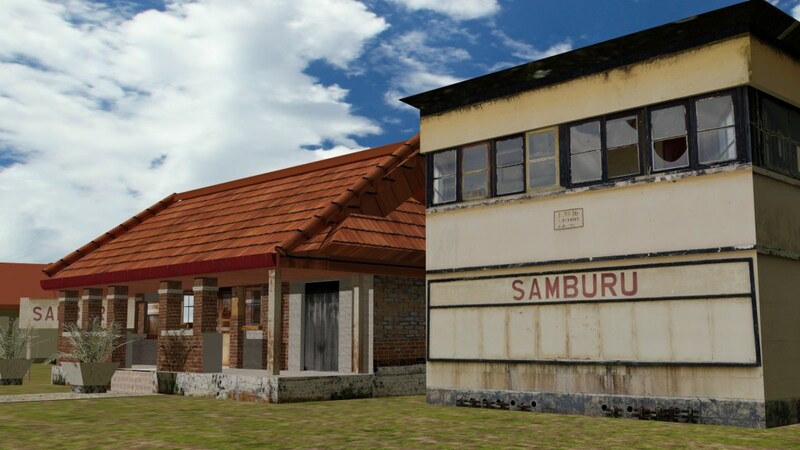 African Digital Heritage, http://africandigitalheritage.com/2017/11/21/3d-reconstruction-of-samburu-railway-station. 6. 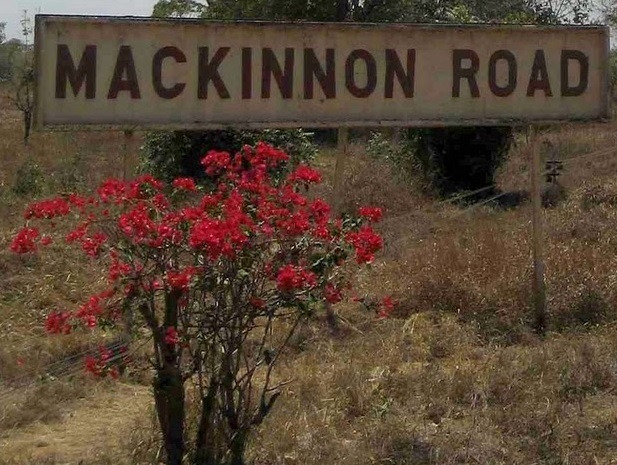 Wikipedia, Mackinnon Road; https://en.wikipedia.org/wiki/Mackinnon_Road, accessed on 19th May 2018. 7. https://www.narrow-gauge.co.uk/gallery/show.php?image_id=472&cat_id=93, accessed on 19th May 2018. 8. 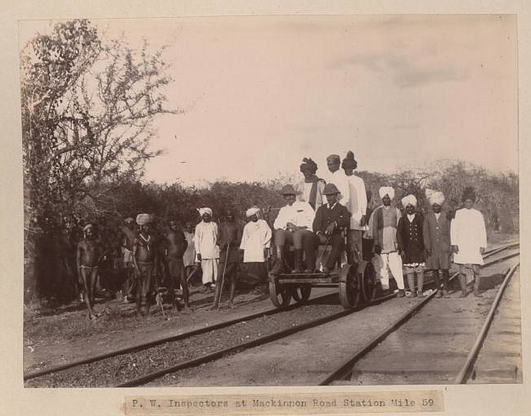 Sikh Heritage in East Africa; https://www.sikhnet.com/news/sikh-heritage-east-africa, accessed on 19th May 2018. 9. https://www.flickr.com/photos/wippetywu/8334292244/in/photolist-dCVoSC-QsEenu-RaD6ny-6MTzC7-dGtqHS-cyt9W9-673J6P-yENGnZ-dNcMXE-9eSeFo-EPDdqs-8nNbSk-au78S2-dsRSfD-dsRZmb-T7YJZB-EPD4NN-dsS285-pRFA4Y-oUKYKU-DTNExR-JxcHi6-JxcHrc-dRKYJy-dsRY5s-DTsZts-DQatYa-au6W7i-Sx6upE-itmJVp-DQauNg-JxcHSn-pTuNZj-fr49Ei-e8Ujgm-frirKj-frirys-e8NEUk-e8NERK-wxHG4-wxHGQ-oj1Vwc-oCfZK2-oj1qDd-oj1r1L-9eC7YM-oraXMr-DQatEp-oAtmPU-9eFjX9, accessed on 19th May 2018. 10. https://www.flickr.com/photos/oaxacania/3350214665/in/photolist-dCVoSC-QsEenu-RaD6ny-6MTzC7-dGtqHS-cyt9W9-673J6P-yENGnZ-dNcMXE-9eSeFo-EPDdqs-8nNbSk-au78S2-dsRSfD-dsRZmb-T7YJZB-EPD4NN-dsS285-pRFA4Y-oUKYKU-DTNExR-JxcHi6-JxcHrc-dRKYJy-dsRY5s-DTsZts-DQatYa-au6W7i-Sx6upE-itmJVp-DQauNg-JxcHSn-pTuNZj-fr49Ei-e8Ujgm-frirKj-frirys-e8NEUk-e8NERK-wxHG4-wxHGQ-oj1Vwc-oCfZK2-oj1qDd-oj1r1L-9eC7YM-oraXMr-DQatEp-oAtmPU-9eFjX9, accessed on 19th May 2018. 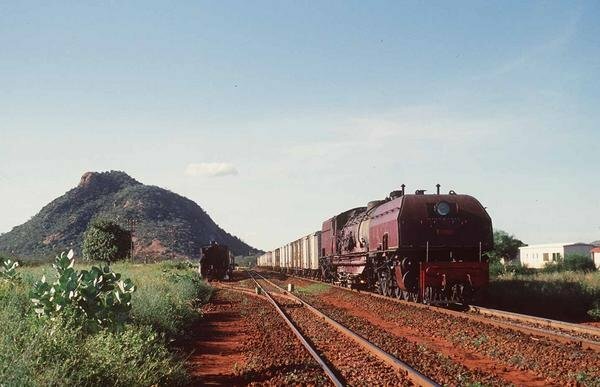 11. http://www.mccrow.org.uk/EastAfrica/EastAfricanRailways/NairobiMombasa.htm, accessed on 19th May 2018. 12. 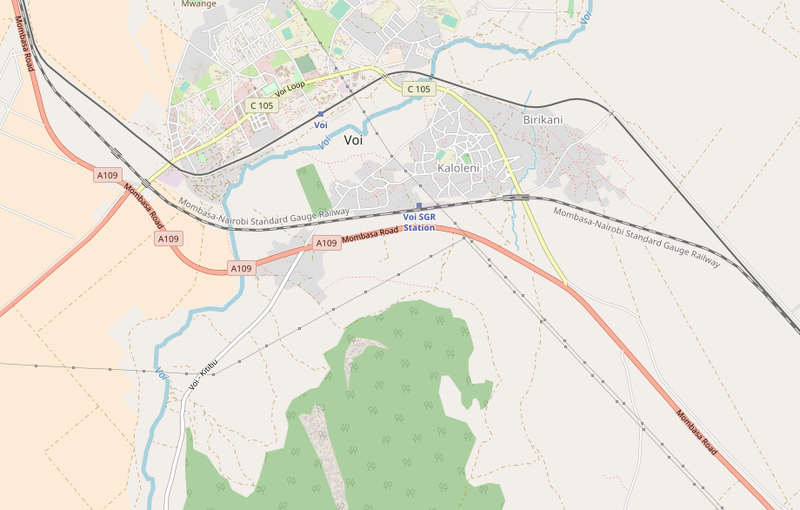 Wikipedia, Voi; https://en.wikipedia.org/wiki/Voi, accessed on 19th May 2018. 13. https://www.flickr.com/photos/steam_locos/11603191816/in/photolist-iFkoFj-aLaZ5n-9eFoeL, accessed on 19th May 2018. 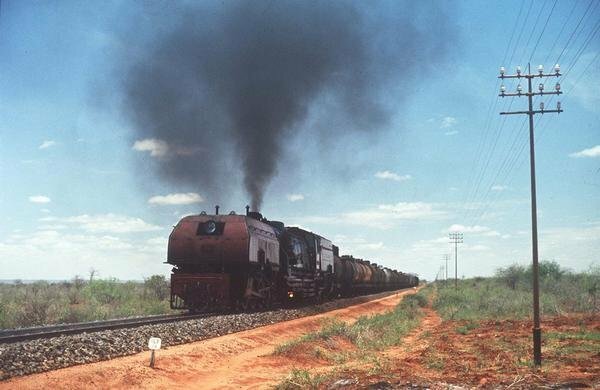 This entry was posted in Railways Blog, Uganda and Kenya Railways on May 17, 2018 by rogerfarnworth.